I like Ikea, but I'm scared to go there!! It's always a madhouse -- you really have to time your trips there carefully!! My goodness, funny commercial. 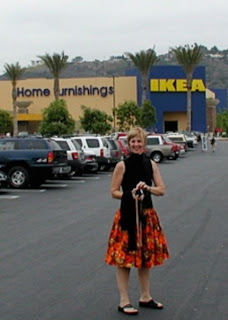 I've never been to an Ikea believe it or not...I won't be a good homemaker until I do! Don't ya just LOVE IKEA!!! They always have great stuff at great prices....just wanted to drop by and say "hey" and hope that all is going well! Take care and have a beautiful rest of the weekend! Some great selections! Thanks for stopping by my blog and commenting. Have a great week! Am planning a trip to Ikea this week for those very jars.. can't beat their prices! great finds! it KILLS me that i have to drive to dallas everytime i need an ikea fix! i love IKEA, especially the food! !